Like the hell-raising rocker it is named after, the creature was no shrinking violet. At 19ft (5.8m) long, with a skull measuring just over a metre, it used its large, blunt teeth to crush bones and turtle shells. It would have been one of the biggest coastal predators of its time when it roamed the Earth more than 145 million years ago. 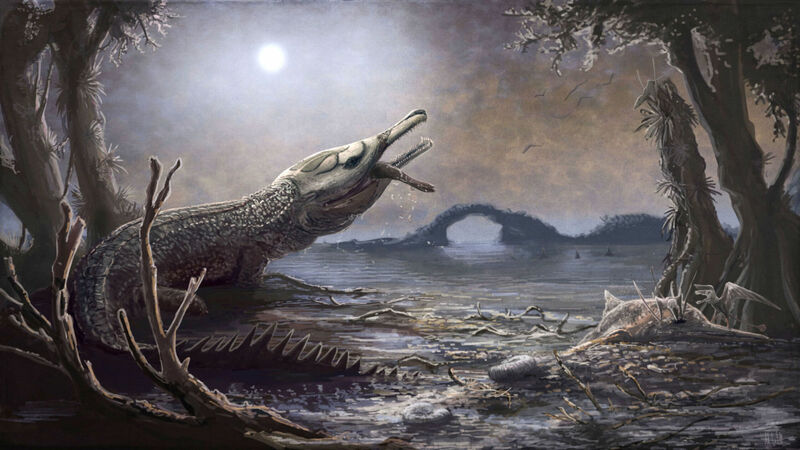 It has now been named Lemmysuchus, which translates as "Lemmy's crocodile". I immediately thought the Guy who named it must be Finnish. Does it eat neo-marxists and batique-witches..? They should have named it after Maxine Waters, a real American hero. Did they find his black box when he crashed and burned? The snowball was to keep the JD cold in hell. They were a great live band, and Lemmy was adored.